For decades, destination marketing organizations (DMOs) were among the few essential sources of vital, up-to-date tourism advice. When information was scarce, destinations sought to educate, inspire, and help visitors plan trips through brochures, maps and visitor services. Today, information is abundant. Visitors use the mobile Internet to learn what they need, when they need it. For most destinations, providing information and promoting a brand is no longer a justifiable core purpose. The current challenge is: How can DMOs adapt their roles to remain relevant and provide the greatest value? Your DMO may not be the same authority it once was, but it can pivot to fill new needs for visitors and the local community. To illustrate how the DMO’s role has changed, let’s look back in time. In a hurry? Get the Leading your destination into the future white paper. You’ll find the collected insights of destination marketing executives who gathered to tackle common challenges as their organizations redefine their roles. The year is 1972. Your partner has just come home from the travel agent with a colourful stack of brochures. You’re both dizzy with possibility. Where will you spend your next holiday? How will you choose? How will you plan the trip? Lesson 1: Your DMO doesn’t need to publish an encyclopedia. 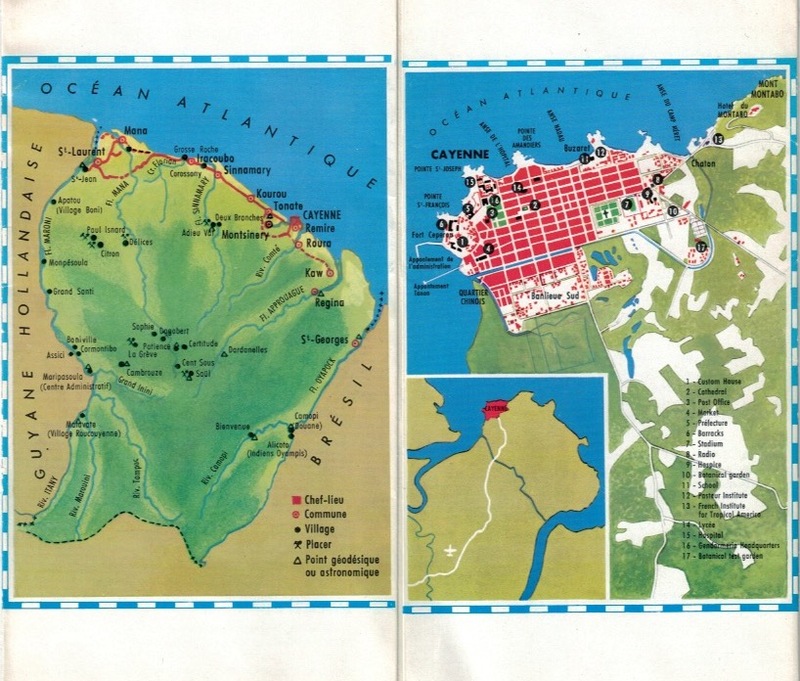 THEN: This brochure taught Canadians about French Guiana. The copy reads like a textbook, placing dense subjects like history, administration, resources and agriculture next to travel-specific information. This beginner’s guide perhaps lit the first spark of awareness for some travellers at the time. NOW: General destination information is a click away. Wikipedia, news outlets and information published by other civic organizations and blogs are all available. Reproducing this information is probably not the wisest investment. A new role for your DMO: Build partnerships to boost content marketing and expand your network of influence. Working with influencers and bloggers is one way to begin. Prioritize helpful content that addresses specific interests and needs. What will help your visitor through the customer journey? When do they need it? What action do you need them to take? Lesson 1.5: Less is sometimes more. THEN: Take a quick look at this poetic gem from Radium Hot Springs Trail. This isn’t written for everyone. It isn’t full of trip planning information or facts. Instead, it serves to inspire those who seek a retreat into nature’s silence. Lesson 2: Today’s visitors know what your destination looks like. THEN: Tourism marketers needed to raise awareness of their destinations or products’ basic visual appeal. 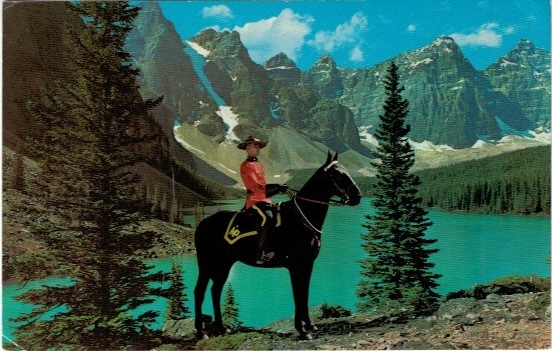 FYI, Canada has lakes, mountains, bears, and mounted police in red jackets. NOW: See what happens when you type “Canada” into Google image search. You’ll see all the Mounties, moose and Moraine Lake mountains you need. 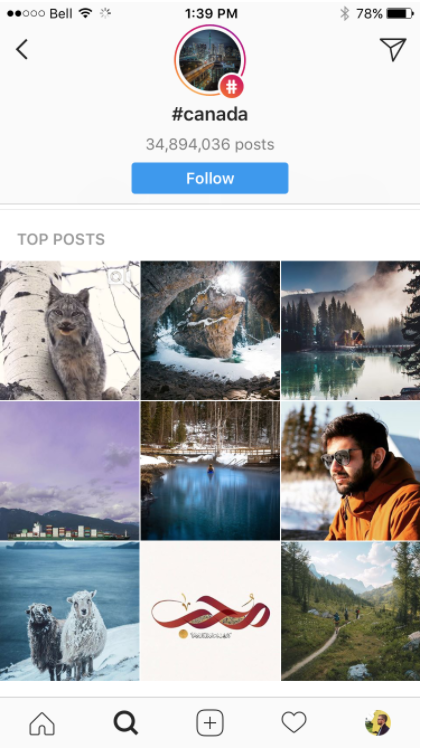 Then, search #canada on Instagram. You’ll find stunning images taken by pro and amateur photographers whose friends and families are watching. Many images reflect lived experiences. Of course, you can’t directly control word of mouth. That’s what makes it so powerful. A new role for your DMO: Build brand awareness through experiences and word of mouth that reflect your destination’s core identity. DMOs can no longer authoritatively illustrate the experiences they provide. Neither can they convincingly invent a brand. Today’s branding needs to happen in reverse. An authentic destination or place brand is expressed outward through visitors and residents and the stories they tell. Postcards can still tell an important story. Staged clichés, not so much. Why not feature images from local artists or business owners instead? Lesson 3: People with common interests can more easily help each other plan their dream vacations. THEN: The reverse of the British Columbia 1969-70 travel map is full of useful information for avid anglers. NOW: You can speak directly with those anglers online through websites like this TripAdvisor forum, where travellers are asking questions to help plan their trips. A new role for your DMO: Develop expertise in interest-based marketing. Niches (anything from bird watching to scuba diving or kiteboarding) have huge potential for financial impact and for attracting the passionate visitors that will most appreciate your destination’s strengths. This kind of focus pays off. For example, Visit Flanders’ Flanders Fields 1914-18 project, (with help from Destination Think!) made a place for World War One history buffs to learn about the region’s heritage together and find travel opportunities. Lesson 4: Help the visitor understand the experience. NOW: Know your guests and the in-destination customer journey as well as Jim and Bev knew theirs. It sounds like these hosts drew on years of face-to-face experience with guests. Your destination is full of experienced, professional operators like these. They have valuable insights about your visitors. A new role for your DMO: Lead collaboration with your stakeholders to understand the customer journey. By involving your front-line stakeholders, you can learn about visitor needs and improve the experience. You can also do primary research by going straight to the source: visitors. For example, Destination Think! helped Provincie Limburg use a collaborative design-thinking process that involved the whole community. Lesson 5: Maps need context. THEN: DMOs published destination maps to guide their visitors during their stay and give them a sense of the destination’s place in the wider region. NOW: Maps are still with us and many visitors have a GPS in their pocket. But technology understands physical geography; people understand tourism geography. Digital maps provide data, not context. Google Maps doesn’t know your destination’s story, and why you’d love to turn off the main road to see a hidden lookout point that would otherwise pass you by. A new role for your DMO: Connect new technology with the visitor experience. What physical routes will make your visitors happiest? What’s on the way there and why should they stop? How should they prepare? Some DMOs like Visit Costa Rica or Tourism Western Australia answer these questions with thoughtful websites that provide digital routes. Likewise, Tourism New Zealand has made sophisticated online travel itineraries. This technology is available to any destination; a visitor services team could build a custom Google Map that shows the best routes for visitors with different travel goals. Lesson 6: Take your visitor servicing to your visitors. THEN: Visitor services teams made themselves available by phone, by mail or in person. NOW: The available channels for service have expanded, so find out where your travellers are looking for information. When do your visitors need another person to guide them? A new role for your DMO: Lead your stakeholders to re-evaluate your visitor servicing. Ottawa Tourism has made its destination more available online in 2018, building on social media success by unveiling “Faya, your Ottawa Tourism Assistant”, which provides travel recommendations. Does your online visitor servicing match the responsiveness and personal touch of your in-person visitor centre? Lesson 7: Encourage visitors to share their memories. THEN: Chilliwack, Canada encouraged people to use the most powerful personal media then available to share their experiences: colour photography. This technology was becoming affordable in the 1970s, and ushered in the next few decades of inspiring slide projector vacation stories in your relatives’ basements. Cameraland, indeed. NOW: Encouraging your visitors to share their experiences using their own lenses has only become more important. After all, many of today’s visitors choose destinations based on Instagram photos before doing a bit of vanity travel bragging when they arrive, not to mention giving all their friends recommendations through some of the world’s largest advertising platforms (Facebook and Google) afterwards. A new role for your DMO: Help your destination develop high-quality, shareable experiences. Your destination’s product drives word of mouth and ultimately, the success of your business model. This means leading a complex collaborative effort (as we have done with Destination British Columbia) to unite stakeholders under the brand and help them gain practical skills to follow through. Your destination is poised to lead. Build partnerships to boost content marketing and expand your network of influence. Build brand awareness through experiences and digital word of mouth that reflect your destination’s core identity. Develop expertise in interest-based marketing. Lead collaboration with your stakeholders to understand the customer journey. Connect new technology with the visitor experience. Lead your stakeholders to re-evaluate your visitor servicing. Help your destination develop high-quality, shareable experiences. Through its collectively vast destination marketing experience, the Destination Think! team has found that many of our DMO clients struggle with similar challenges. Many executives (like President & CEO Michael Crockatt at Ottawa Tourism) are reshaping their organizations in response to current trends and their local impact. Get insights from leading destination marketers. A team led by Destination Think!’s Chief Strategist, William Bakker, distilled the insights into a document that can help any DMO find its best role. Get the insights. Download the Leading your destination into the future white paper.